Finally I have tried out that new bargain make-up brand on the market - Make-up Revolution! If you haven't heard of them yet then well... where on earth have you been? Gorgeous products for tiny price tags - my sort of thing! This is the first, of what I think will be many, reviews of one of their best selling products. I have always been addicted to highlighting products - anything that can give me a healthy glow makes me happy. I've been through so many highlighting products over the last few years I've lost count, powders, creams, liquids - there are so many on the market and I'm a sucker for all of them! There are 3 shades available in these highlighters, peach lights, pink lights & golden lights. Peach lights is a lovely pinky-white silver colour - does that even make sense? This stuff looks gorgeous both under and over foundation and just a tiny bit gives the skin a super duper sheen and pretty natural glow. I am in love with the pattern on the product - for the price you would expect just a plain flat product plonked in a compact - but this has such a pretty style, it reminds me of a pretty seashell. The size of the product is also amazing for the price, needing just a little sweep of it to create a gorgeous glow this compact will last months and months! I have been using this to highlight my cheek bones and brow bones and it is fab for both an everyday natural wear and any full-face look! 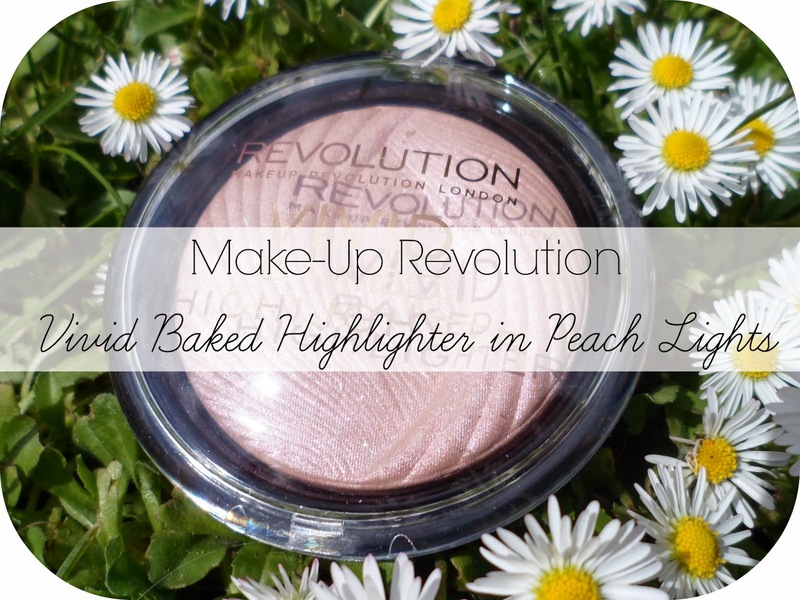 Make-up Revolution have some right bargains (and some amazing dupes.. there I said it!) in their collection and I have been so impressed with the products that I have tried from them so far - so keep your eyes peeled for more reviews on them coming soon! Have you tried anything from MUR yet? What are your favouite products? This is so pretty! I just found that I can order it here in the US! Thanks for the review! Fabulous review, I haven't tried anything from MUR, I wasn't sure if they really live up to the hype! Never heard of the brand but now trying to work out where you can buy it - sounds like a fab product! I've placed an order this weekend and this product is in it, it's safe to say I'm excited for it to arrive! Never heard of the highlight before, but I've heard amazing things about the line! Definitely on my list of things to get soon!